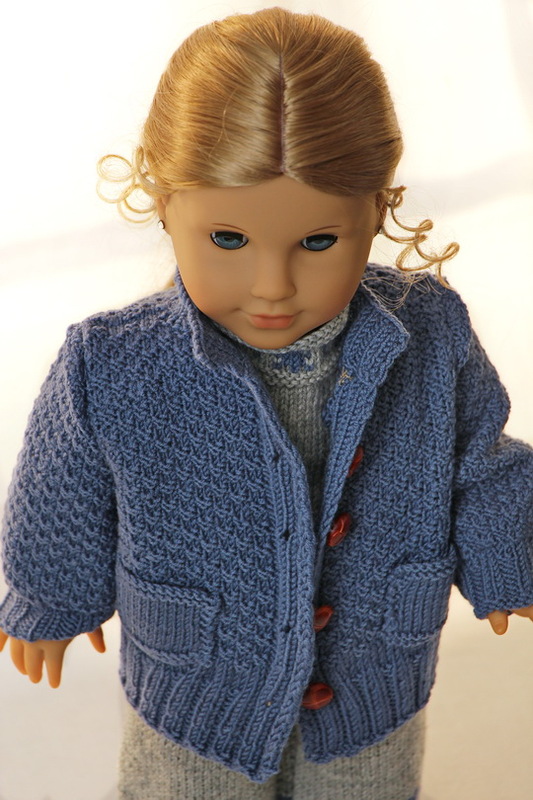 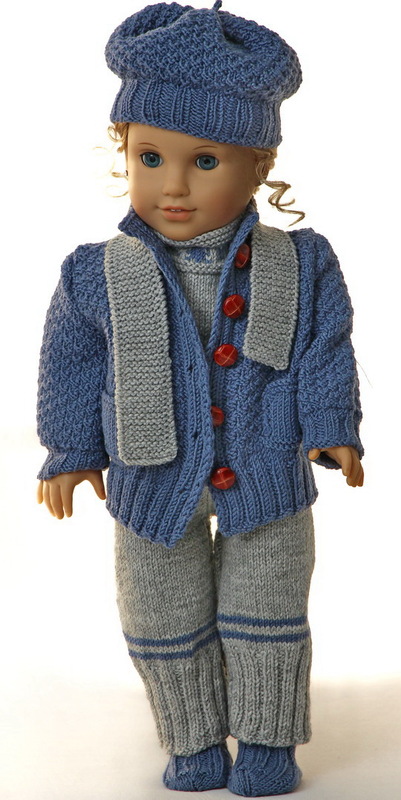 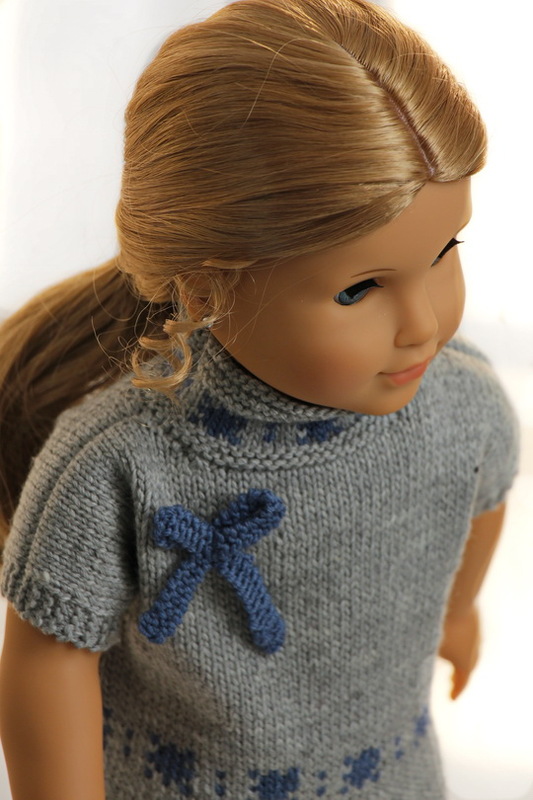 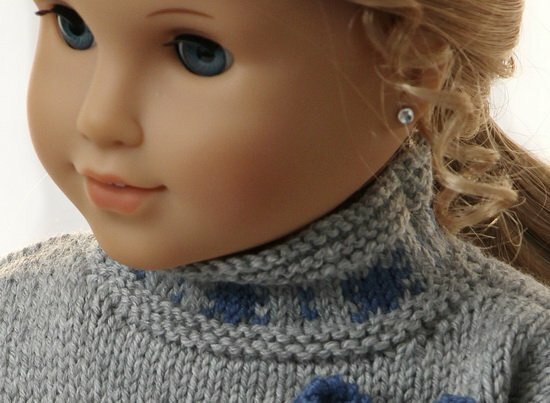 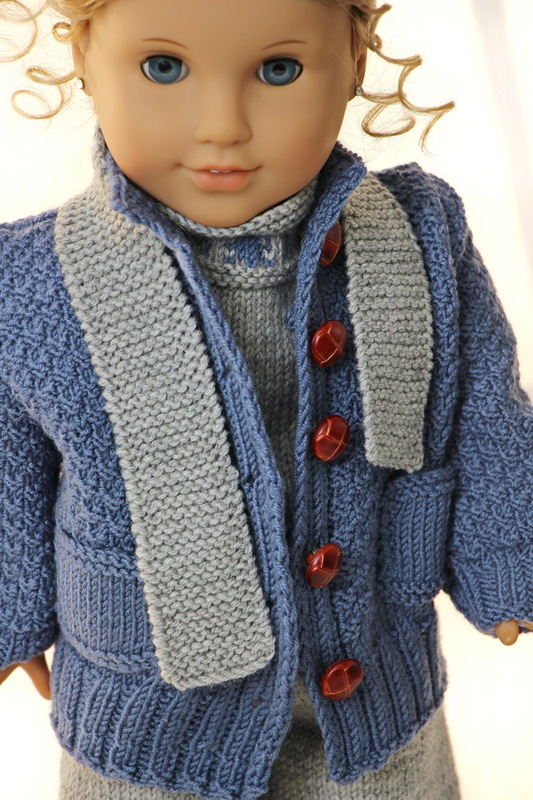 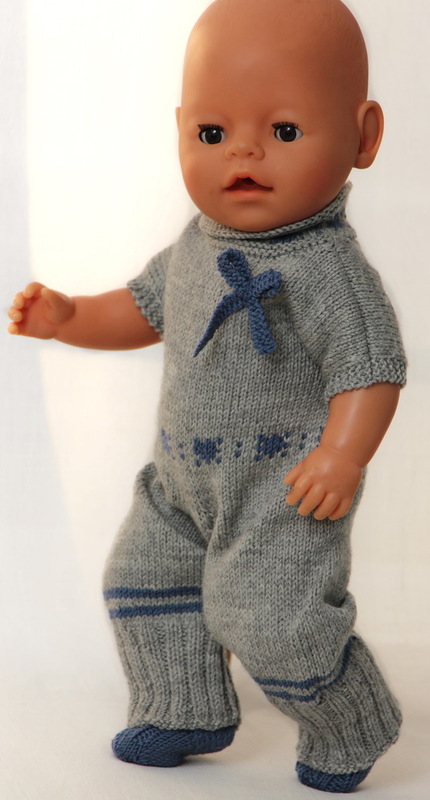 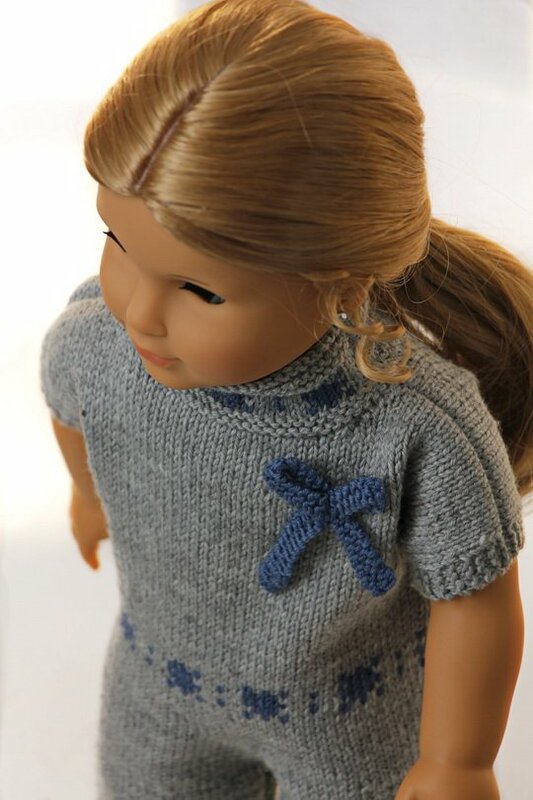 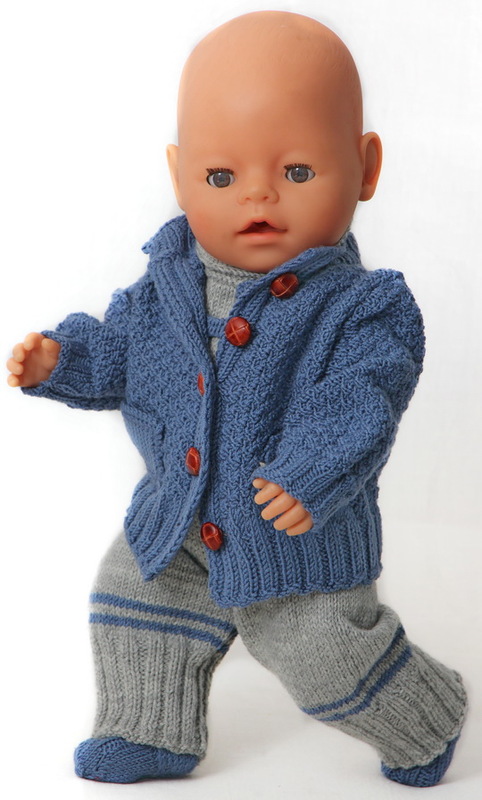 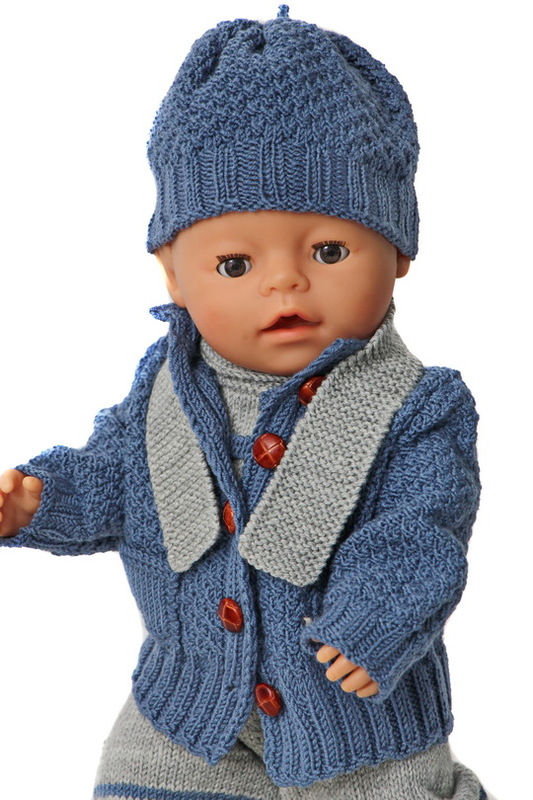 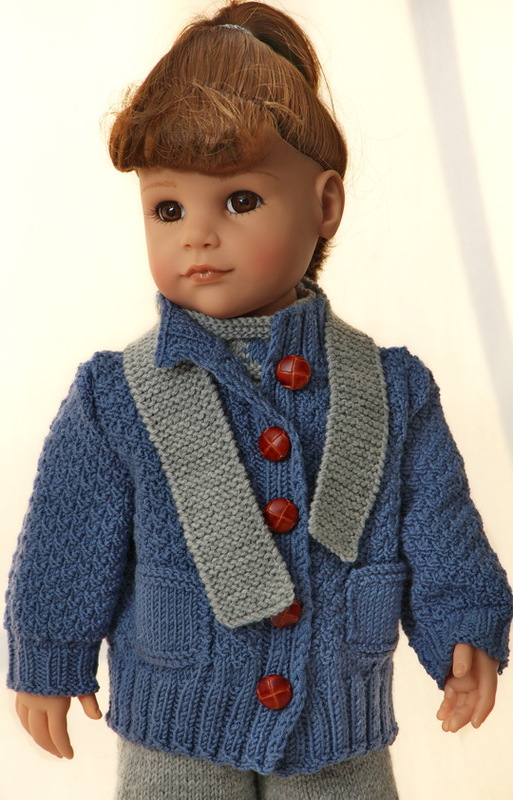 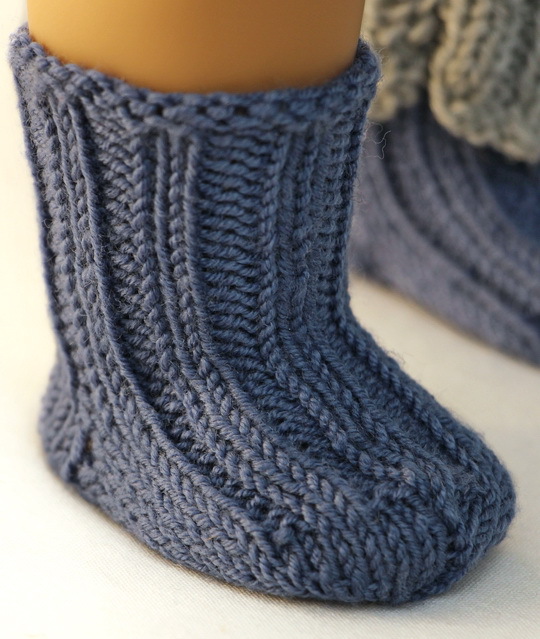 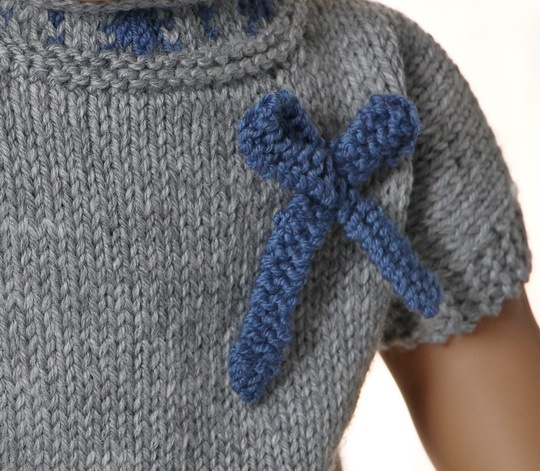 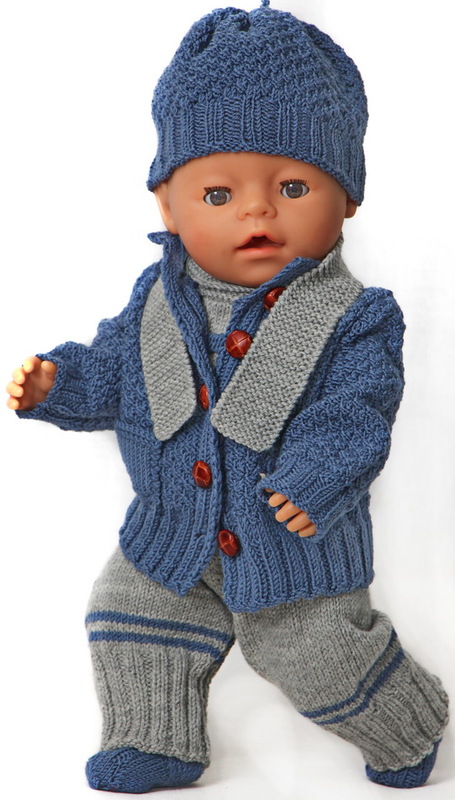 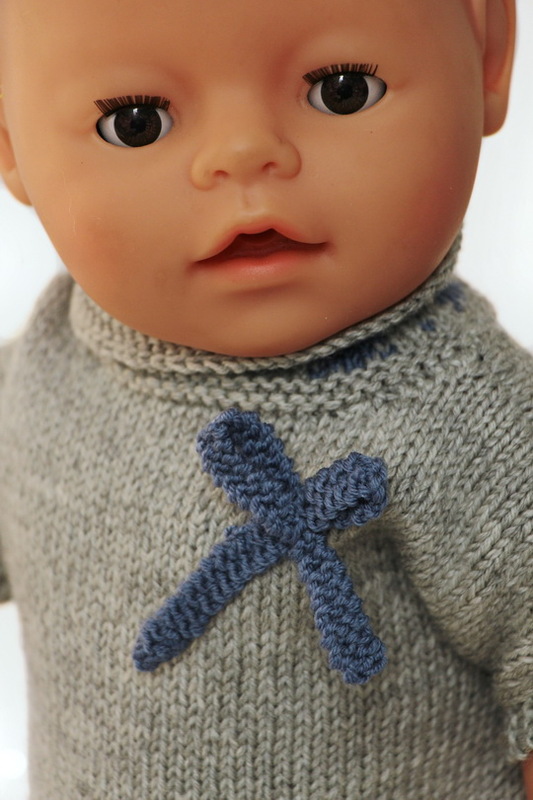 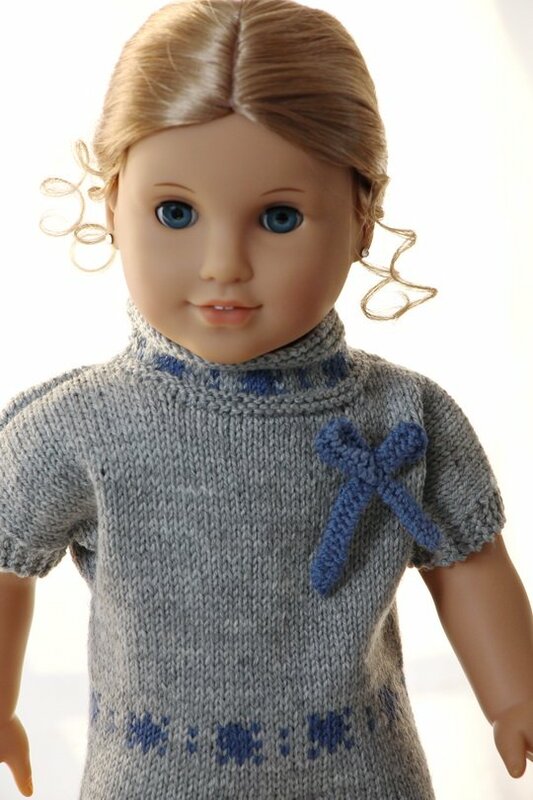 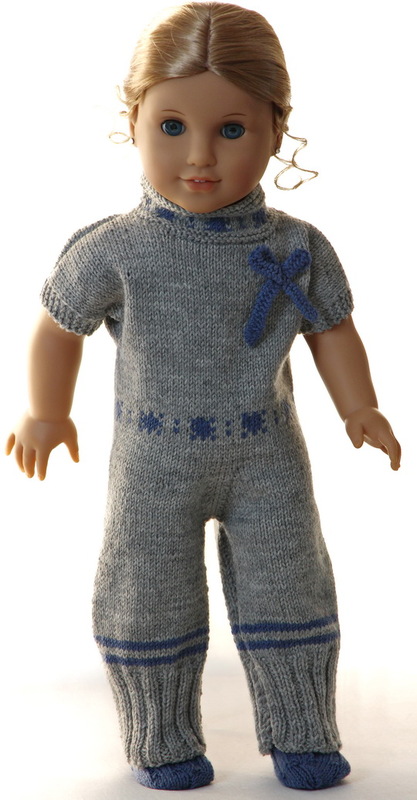 For January, the garment is knitted in grey and blue. 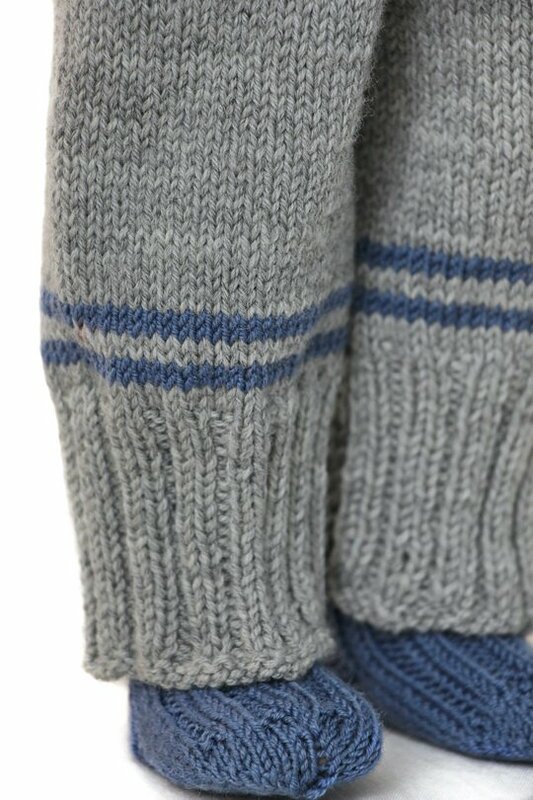 Moreover, I knitted a couple of blue stripes round the legs. 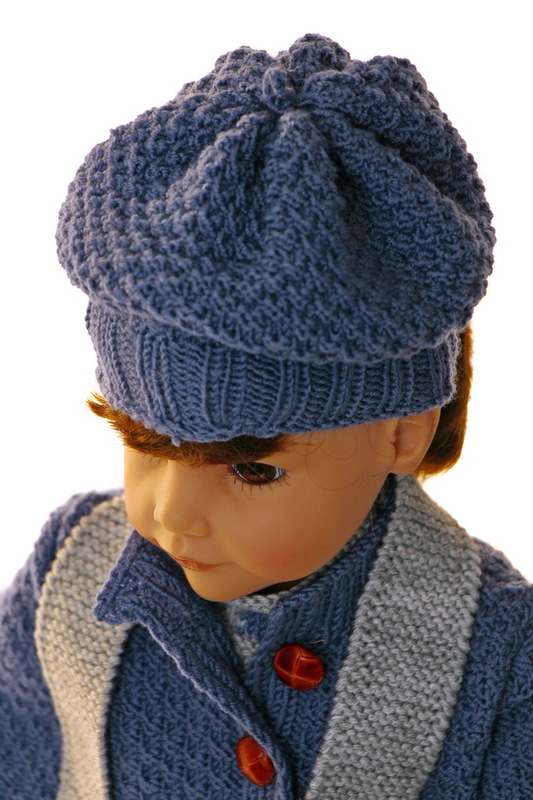 The cap I knitted with a blue edge in the same rib as for the sweater. 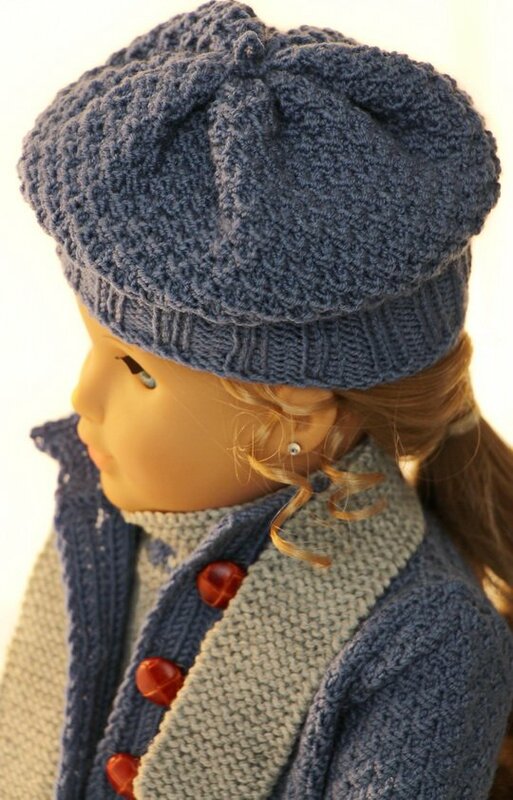 The rest of the cap is knitted in dbl moss sts and finished it was very chic I think! 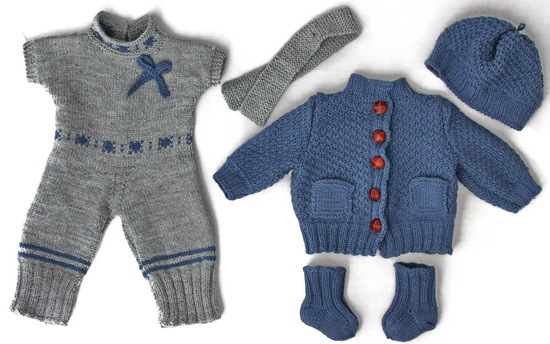 I hope you will enjoy this project with clothes for Sophia every month and enjoy knitting the clothes.